Patrick chats 'Folie à Deux'. 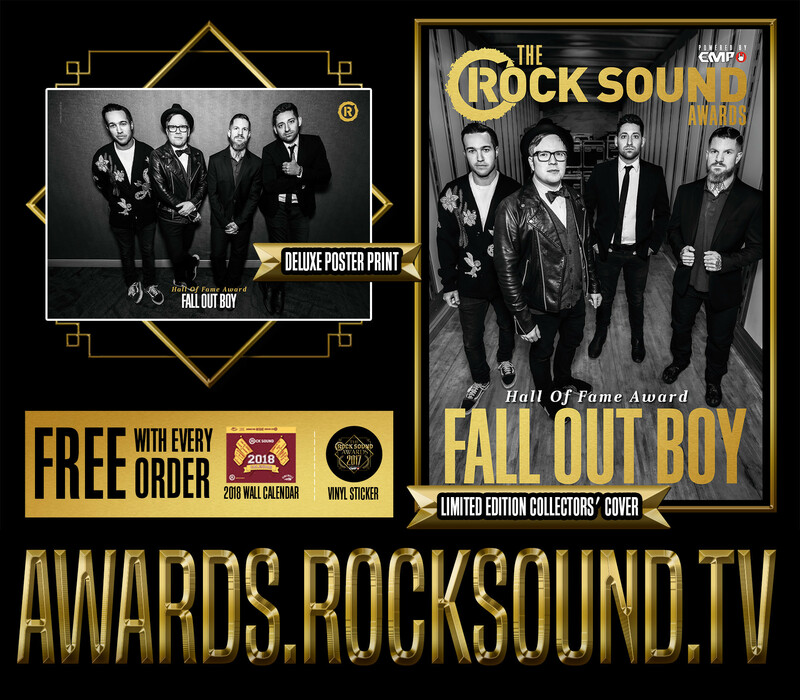 Fall Out Boy were the first inductees to the Hall Of Fame at the Rock Sound Awards powered by EMP. THINGS WENT CRAZY ACROSS THE BOARD AFTER '...CORK TREE', EVEN TO THE POINT WHERE JAY-Z OPENED YOUR NEXT ALBUM 'INFINITY ON HIGH'. HOW DIFFERENT WAS LIFE FROM THAT POINT FORWARD? Says Patrick Stump: “It was all just so surreal. Because it never really felt like a thing, why would Jay Z be at a Fall Out Boy show? You know, it just didn’t add up - Jay Z doesn’t go to Fall Out Boy shows, he goes to real bands’ shows! That’s kind of what it felt like. THE END RESULT WAS 'FOLIE A DEUX', YOUR FIRST TRULY POLARIZING RECORD. HOW DO YOU FEEL LOOKING BACK ON THAT NOW? “That album was really tough because we were not a united front on what we wanted to do on it. We were touring constantly and we were working really hard and we’re doing all this promo for radio and it got really disconnected - with each other, with your family, with music, with making music - because you’re just on the road, you’re just kind of a machine. You lose sight of those creative muscles. So I said at the beginning of that cycle, speaking of ‘Folie a Deux’, what if we take this really light? Because we got lucky, there’s no way you’re going to get lucky again, that’s not how fate works, we’re not going to have another smash record off of basically three bigger and bigger records you know? If ‘Take This To Your Grave’ was wildly successful for our standards at the time, ‘Cork Tree’ was even more successful and then, by certain measures, ‘Infinity’ was even more successful, so what are the odds that that’s going to happen again? So I was like, ‘Let’s not think about success, let’s just write a record that we want to write’ and I think Pete very much agreed with that, but the thing that I underestimated is that Pete naturally gravitates towards these big sounding songs and so it was kind of this battle between the two of us. I was trying to do this subtle weird thing and he was pushing for these bigger, louder things, so we kinda ended up in the middle and I think that was one of the reasons that it was such a polarizing record –because we were polarized.